The 9 Best Lunch Spots in Kansas! 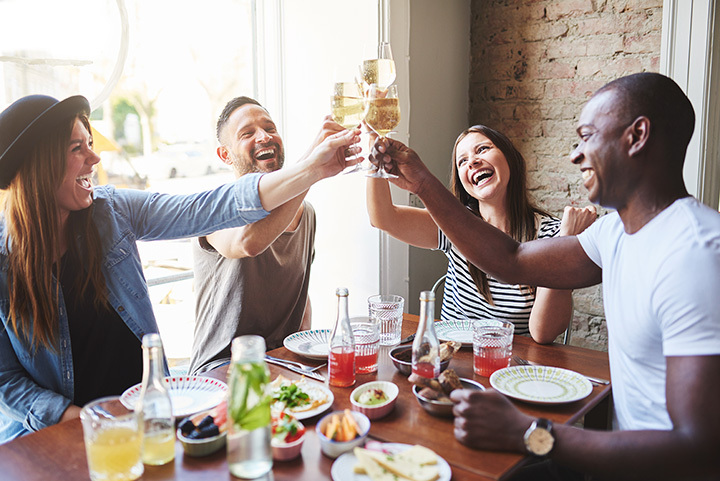 It doesn’t matter if you’re making a quick stop during your lunch break or stopping in for a long, relaxed meal with friends and family, refueling at the right spot is important! And in Kansas, we have you covered. From down-home diners to cute cafes, here are the best lunch spots in Kansas. Possibly one of the most unique lunch experiences in Kansas is the Doo-Dah Diner in Wichita. Native diner owners have created not only one of the coolest lunch spots in Kansas but maybe the nation. Customers applaud the tasty twist to a lot of old favorite dishes you must taste to believe. Don’t miss this diner! This lunch spot is only open five days a week so be sure to come in and “set-a-spell” at the Feed Bunk in Yates Center. On the menu is all the “home-style” dishes that are lunch favorites. The food is good and the service is great. The Blue Star Café in Ottawa serves a great lunch buffet of some of the best Chinese cuisine in the area. Fill your plate from the buffet or order from the menu, and let the café chief prepare your delicious specialty food for lunch. The sign might say The Chef restaurant in Manhattan is a “breakfast place” and it is true, breakfast is great, but the lunch is extraordinary. The little bit “eclectic” menu is filled with mouthwatering, flavorful dishes and this downtown diner is legendary for good food. In Garden City, you can find the freshest ingredients in the food choices at The Garden Café, inside Wards Garden Center. Fresh garden salads, sandwiches, wraps and homemade burgers, soups and dinner entrees, will make it hard to decide what you want to eat for lunch. Open for lunch and dinner this eatery will treat you to authentic Swedish, American food at the Swedish Crown Restaurant in Lindsborg. But lunch is our pick. This age-old, re-opened, café serves great lunch specials you won’t find anywhere else in a tranquil and pleasing atmosphere. The Downtown Sampler Restaurant is exactly what the name implies, delicious samplings of many famous traditional and non-traditional dishes. Food that is unique and delicious, and the staff are friendly and the atmosphere is casual. Daily specials supply great lunch items for everyone. The Salebarn Café in Paola, is a country experience. The food is delicious and the staff is about serving the dedicated farm/ranching men and women who attend sales. Open and serving weekly specials all week that are very yummy!The Salebarn Café in Paola, is a country experience. The food is delicious and the staff is about serving the dedicated farm/ranching men and women who attend sales. Open and serving weekly specials all week that are very yummy! No one should miss eating at Tanya’s Soup Kitchen in Wichita. Lots and lots of good food, including sandwiches, stews, salads and of course soup. And also try the baked potato soup and chicken curry soups. You should try this place and indulge in flavorful hot soups.